Here’s a quick hack, which works on versions 11.1.2.4+. I haven’t had the opportunity to check out earlier versions. I ran into a scenario recently where I had a number of exports that I needed to rename. 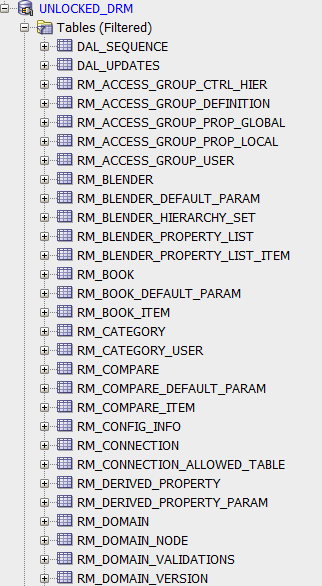 Now, DRM does not give us the ability to rename objects. It allows us to copy or move (!) them, currently. So what’s a quick way to do this? There are a couple of ways, I can think of. Here’s one of them. Before you try this out, make sure to back up all necessary objects and test this out on a development instance first. And in case it’s not clear enough, test, test and test some more. In this scenario, I would like to rename the export in the screenshot above. 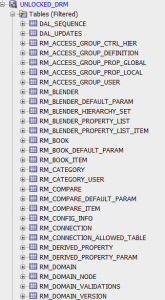 In order to do this, you will need access to the SQL repository. As I am sure you are aware, DRM stores all data inside a series of SQL tables. Each node you create, property you update, it’s all here. And that includes our exports as well. 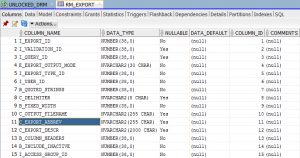 References to exports are held in this series of tables. The one we care about right now, is RM_EXPORT. And in particular, the C_EXPORT_ABBREV column within this table. As you can see, this column captures the name of the export. All you need to do (after backing everything up), is update this value directly with the correct name. 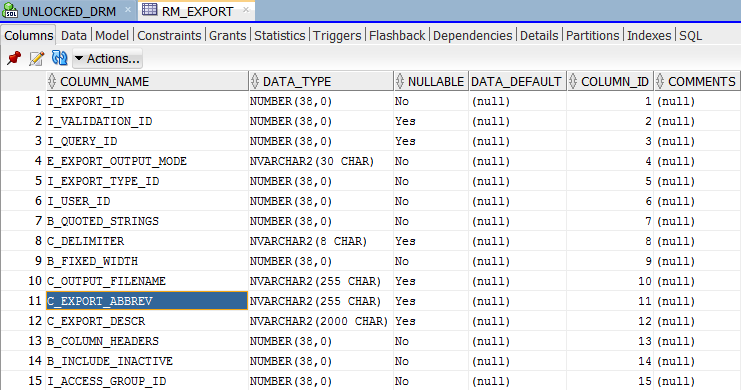 If you want to update the description, it’s one column over, in the C_EXPORT_DESCR column. Now, if you toggle back to DRM, you will see that the export has been renamed. If it’s part of a book, the changes are reflected there as well. And there you have it, a quick hack to make a change using the DRM backend tables. I don’t recommend making changes like this on the repository directly; this exercise just proves that it is possible to do this. I’ll do another post later, on a more “acceptable” hack next time, to do this same type of action. DRM, export, hack, sql. Bookmark.